Has the ability to stand upright when place at any pointed surface..
Balance, because it can actually stand upright/still (horizontally as shown in the picture) on any pointed fix edge. The blade of this beautifully shaped knife is one of the most difficult ones to craft, as it should be made in such a way that the weight of the blade and the handle are precisely equal. It has the ability to stand still (upright) when placed at any pointed area without falling downward or sidewise. 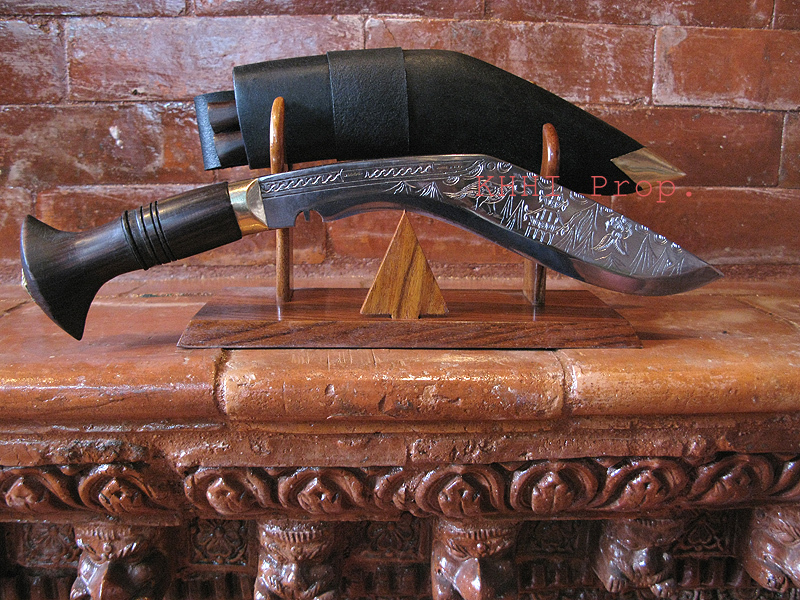 The blade is forged pretty curved for the very objective and maker has to distribute the weight of the blade and handle evenly in order to achieve the balance position of the kukri. The unique curved shape of the Balance also resembles the aboriginal weapon called "Boomerang", however nothing to do with the latter’s exclusive function. Balance has a highly polished blade done to give a very fine look. Although very famous, it’s not an army knife. Surprisingly Balance kukri's special balancing feature (act) doesn’t have any special purpose. It is just an exhibition of skill of the craftsman. 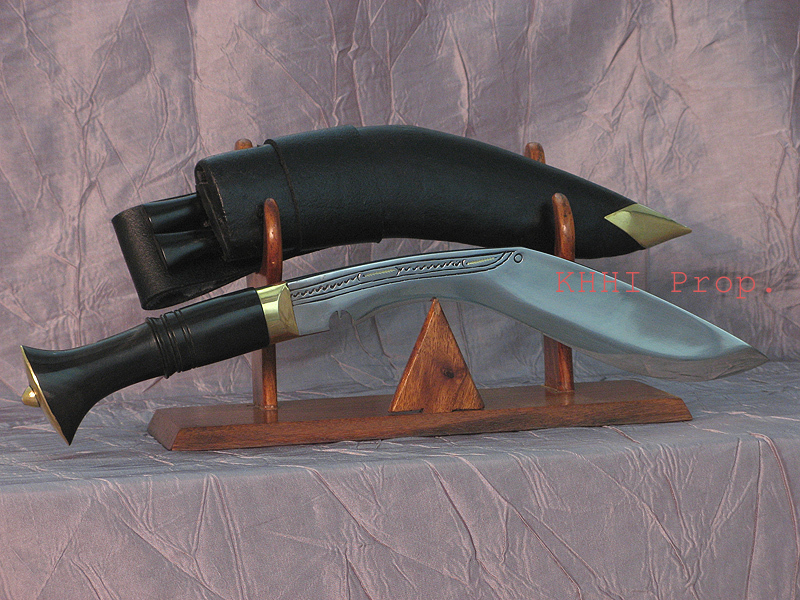 Balance kukri makes very good gift as well as a displayer to decorate a shelf or a room. The knife is yet again a completely functional knife with good edge and hardness. 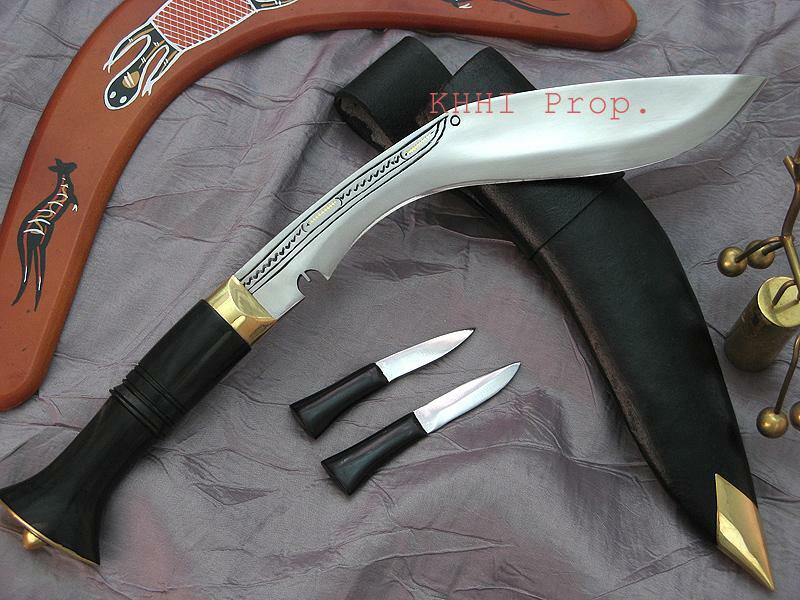 Due to its balancing feature its nick named as stable kukri.